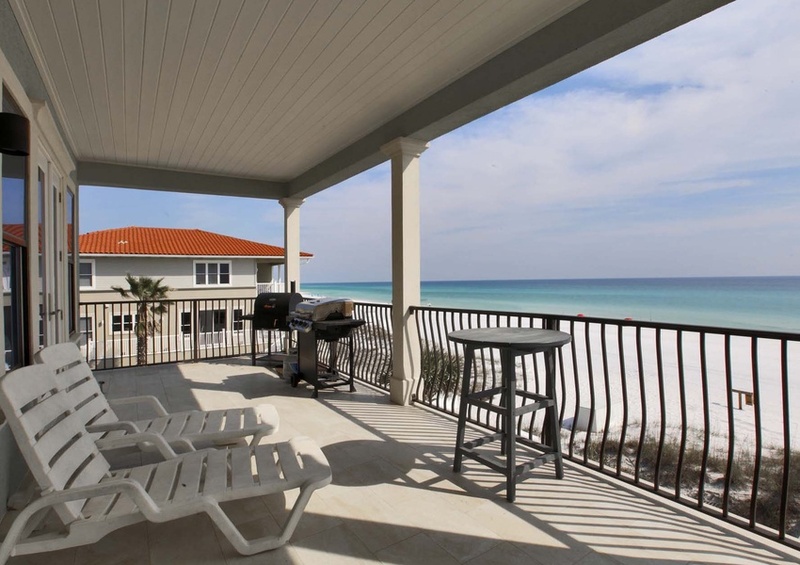 Redefine opulence during your stay at 5 O’Clock Somewhere (Destin)! 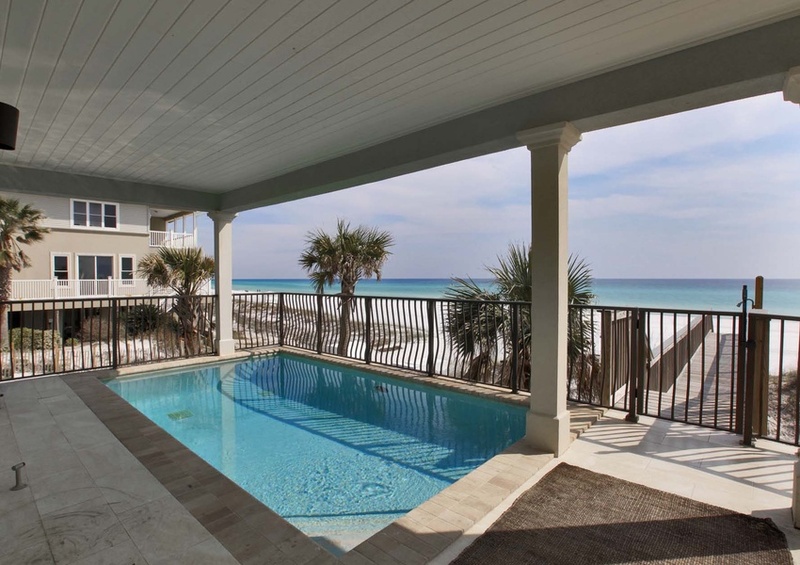 This palatial, Gulf front luxury home in Destin Florida boasts eight bedrooms, eight and a half bathrooms, and comfortably accommodates up to 23 friends and family members! 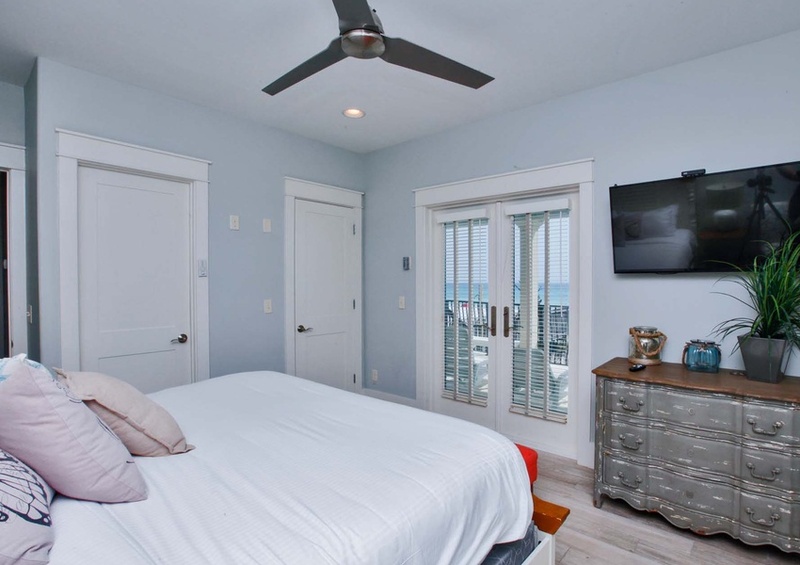 Breathtaking full views of the Gulf of Mexico are available from nearly every room inside your home. 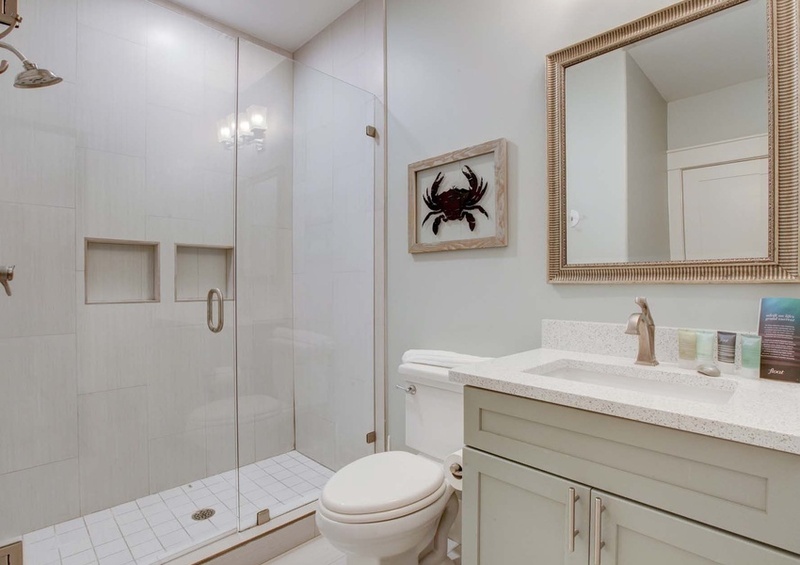 Markedly unique and ingenious design impose striking impressions. 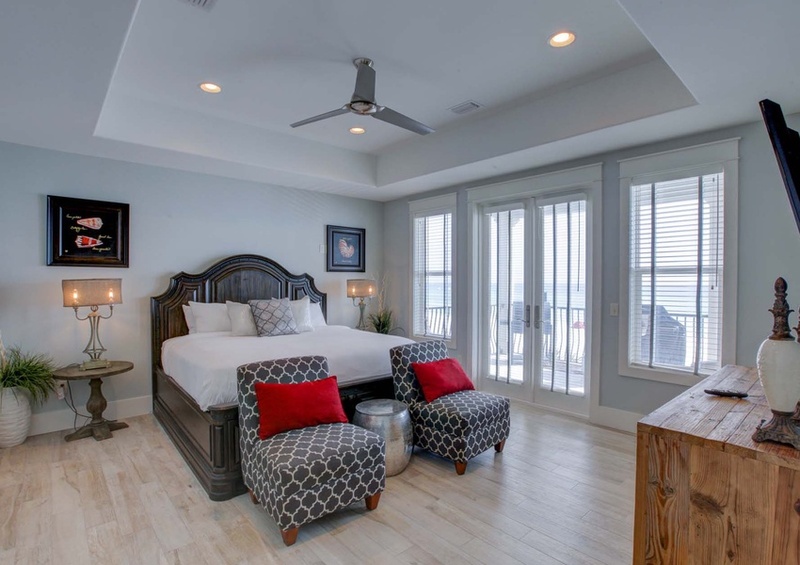 Let’s take a look inside and see the magic and beauty of your dream vacation home. 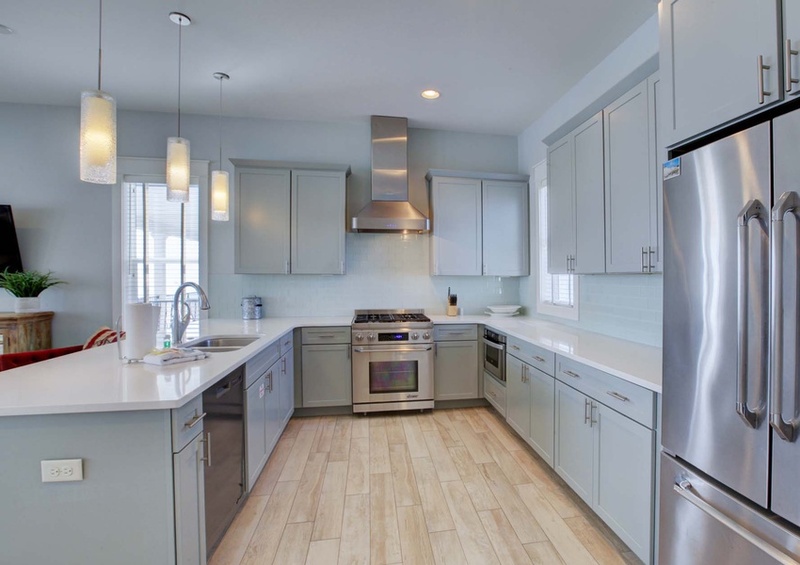 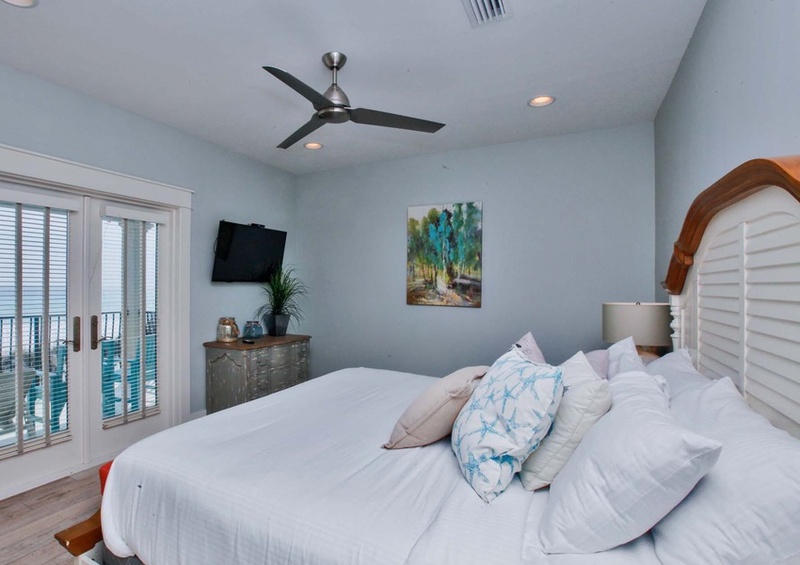 Bright pastel decor complements the complete beach experience within the home. 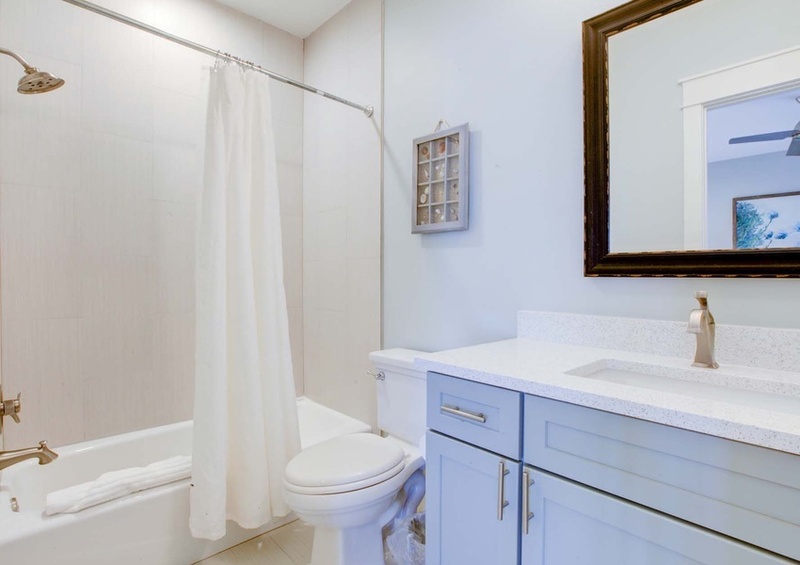 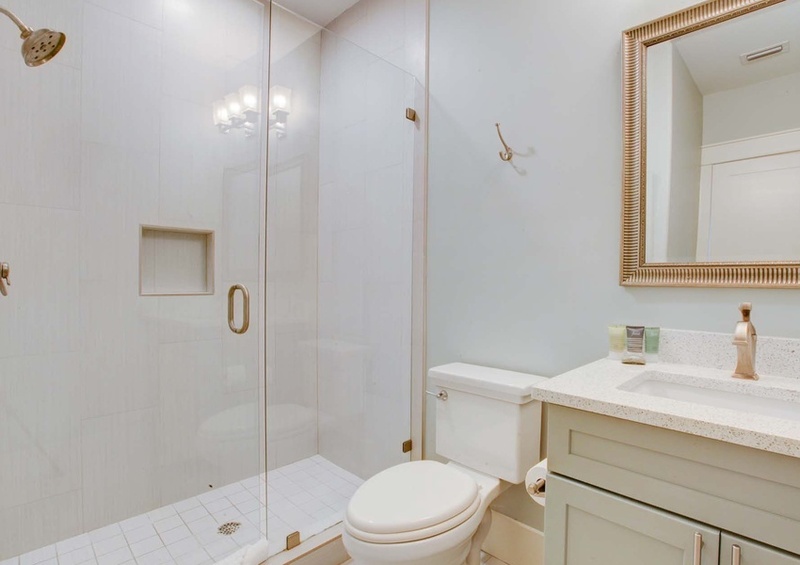 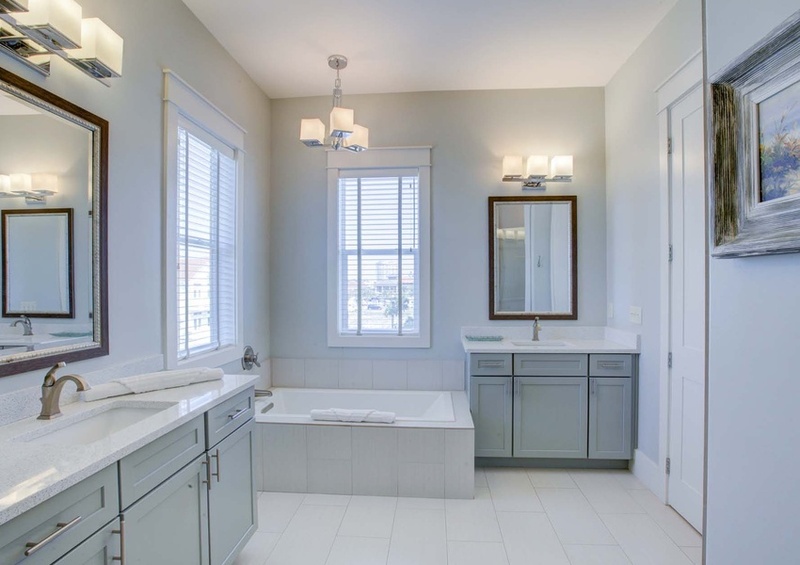 On the second floor are four bedrooms featuring en-suite bathrooms and the half bathroom. 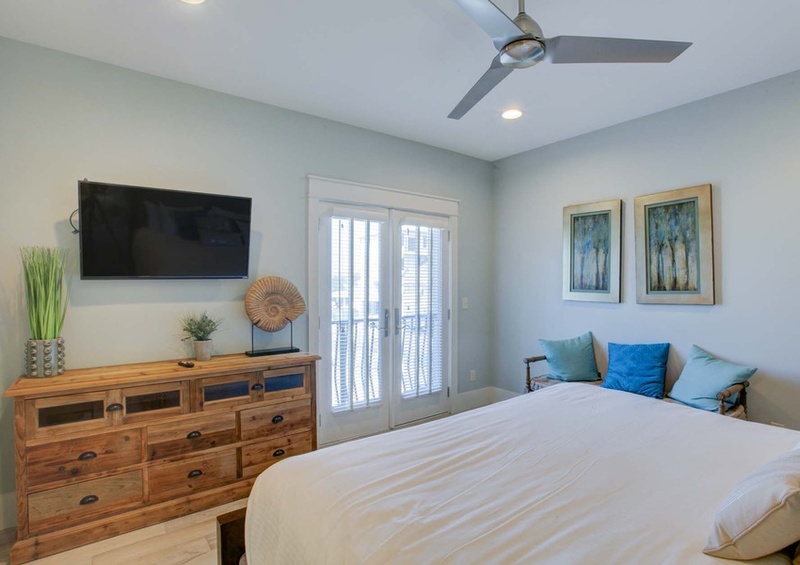 Two of the bedrooms open up to the private pool, while the two remaining bedrooms open up to private patios on the front of the property overlooking the community. 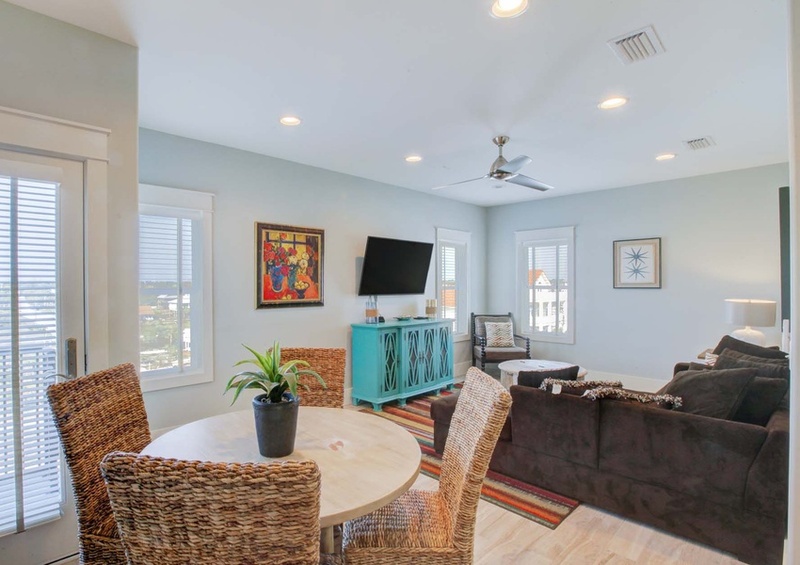 The third floor of the property opens up into the dining and living rooms. 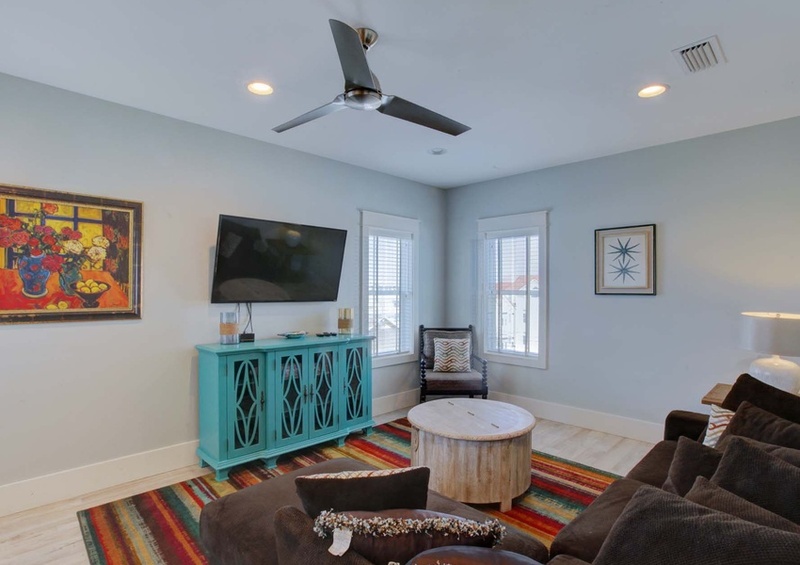 The living room provides ample space and ambiance conducive to the most enjoyable gatherings of family and friends! 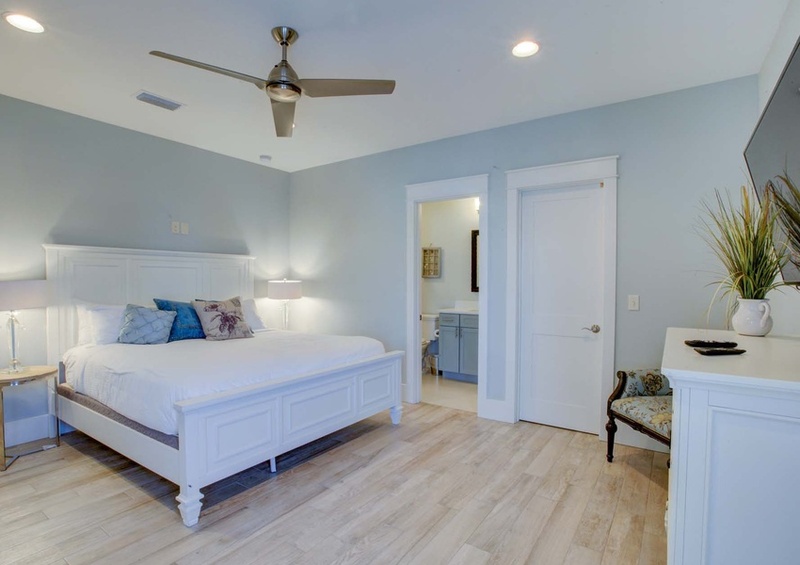 The master bedroom and master bathroom are also on the third floor. 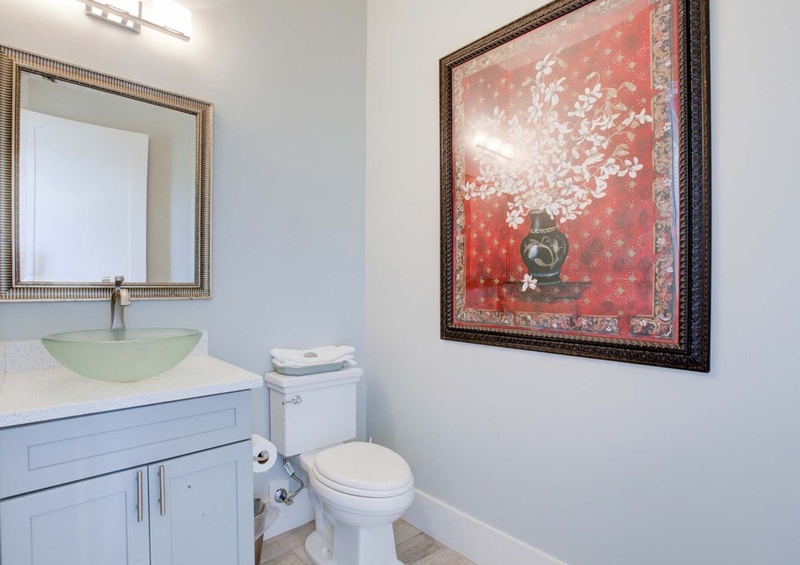 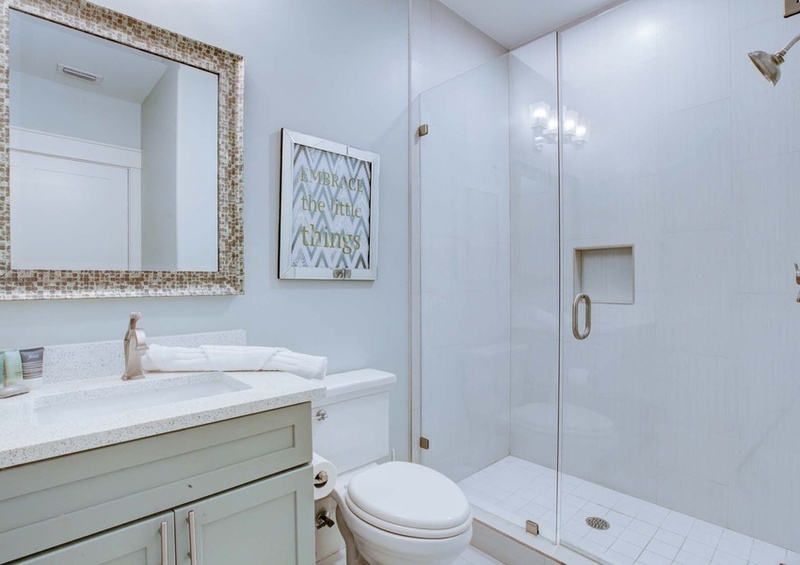 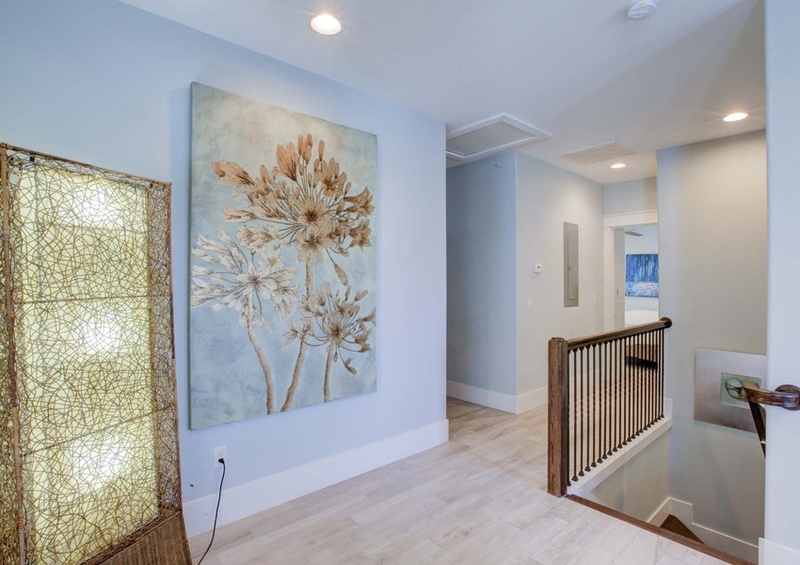 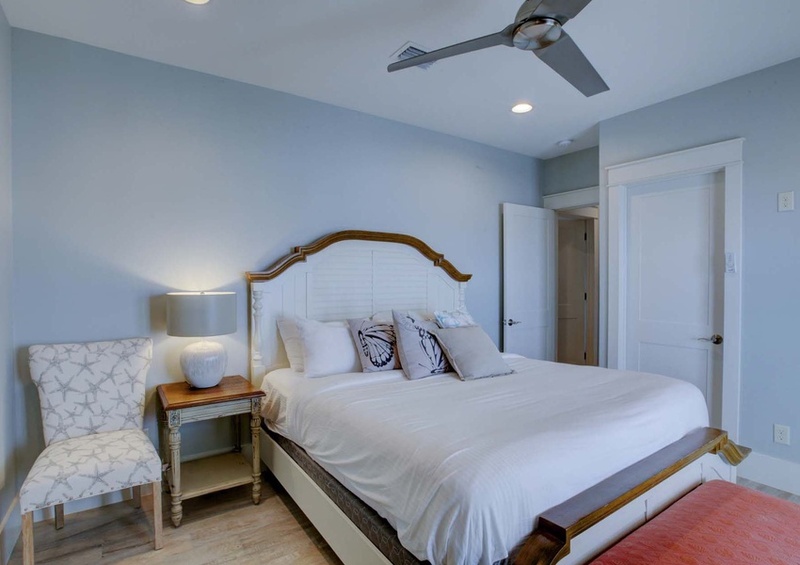 Upon observation, the master suite will impose reconsideration of the term “luxury.” The fourth floor of your home features the remaining bedrooms and en-suite bathrooms. 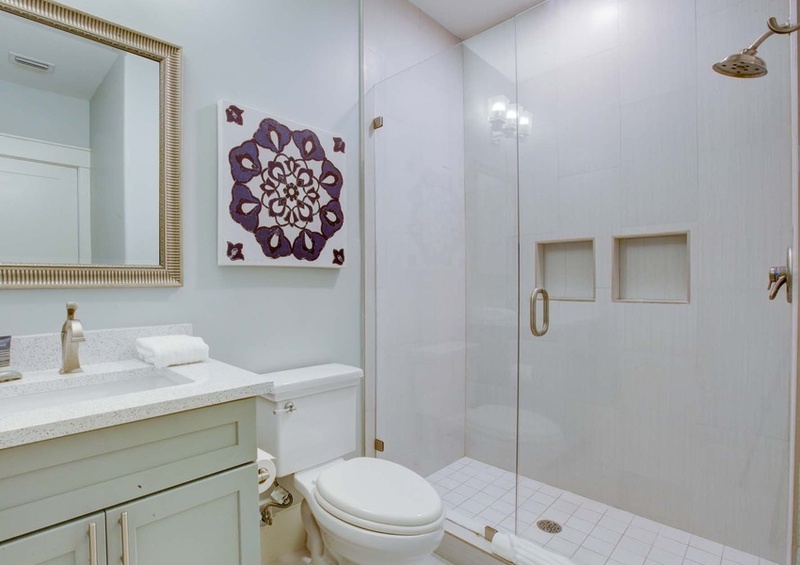 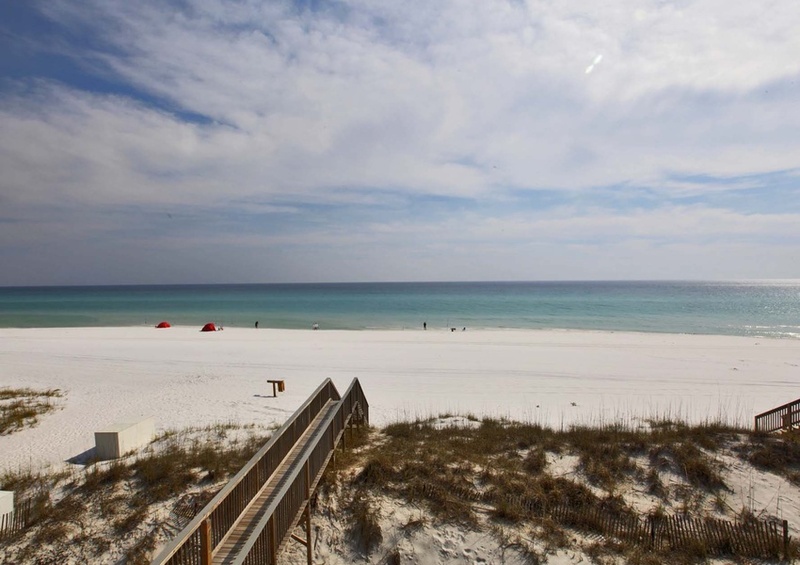 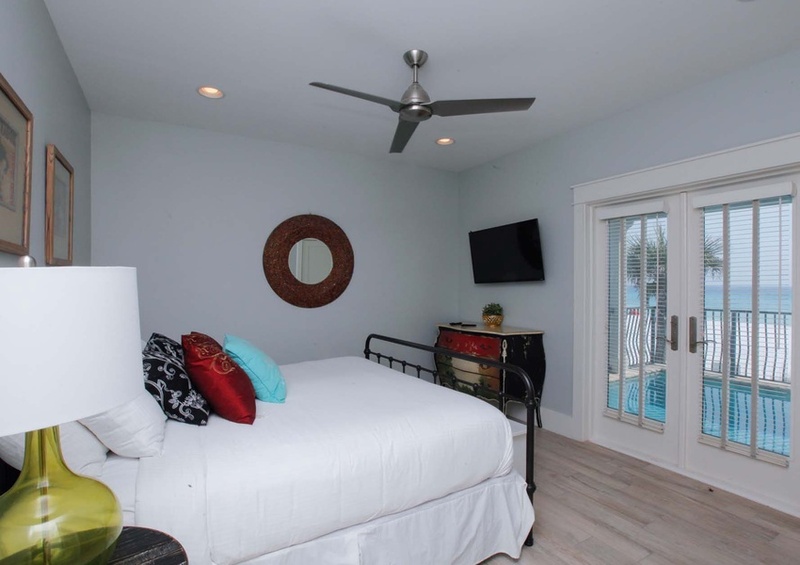 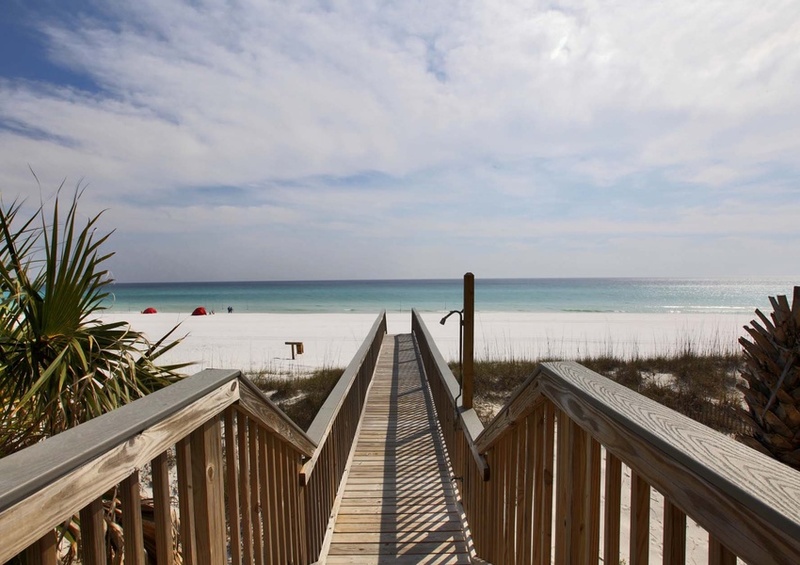 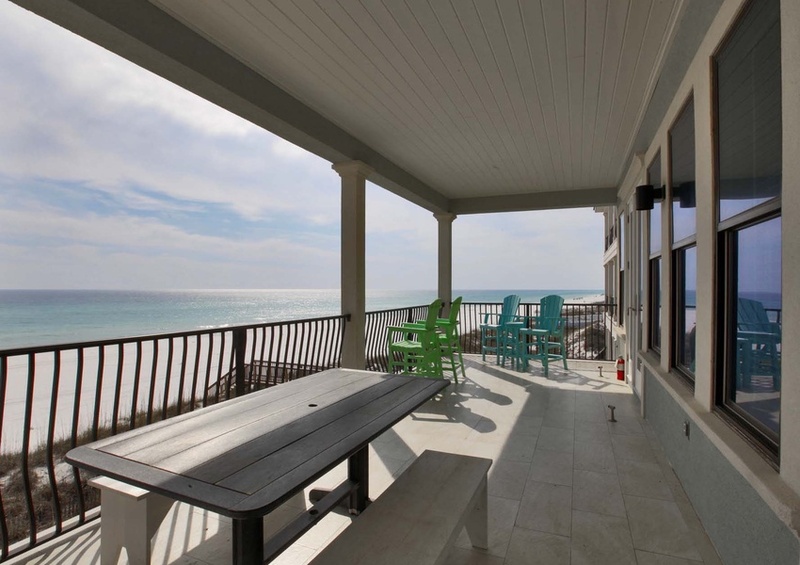 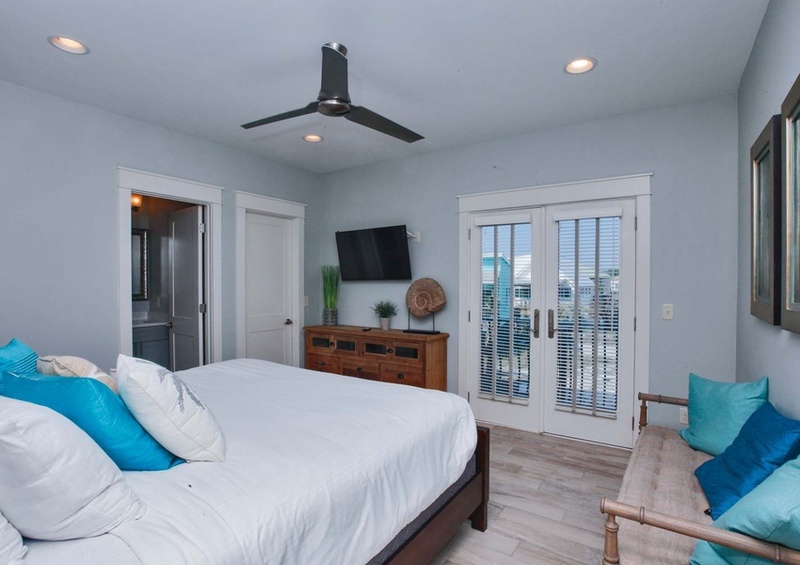 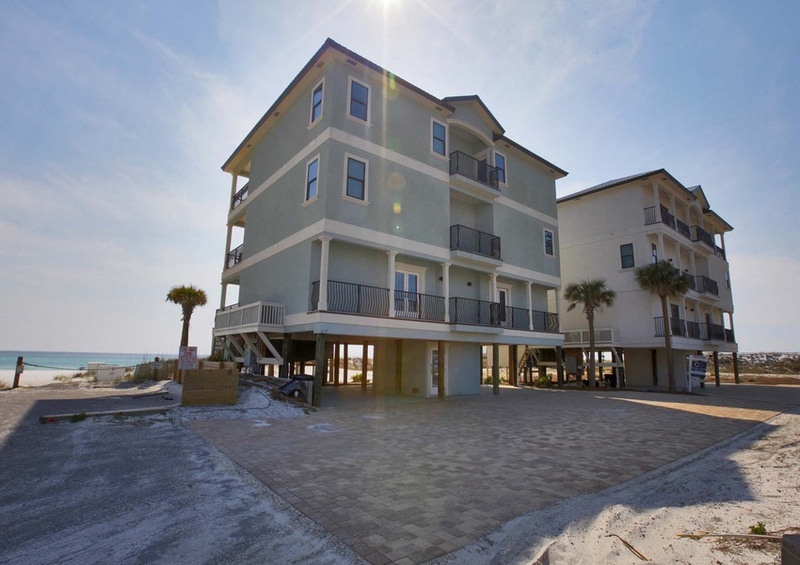 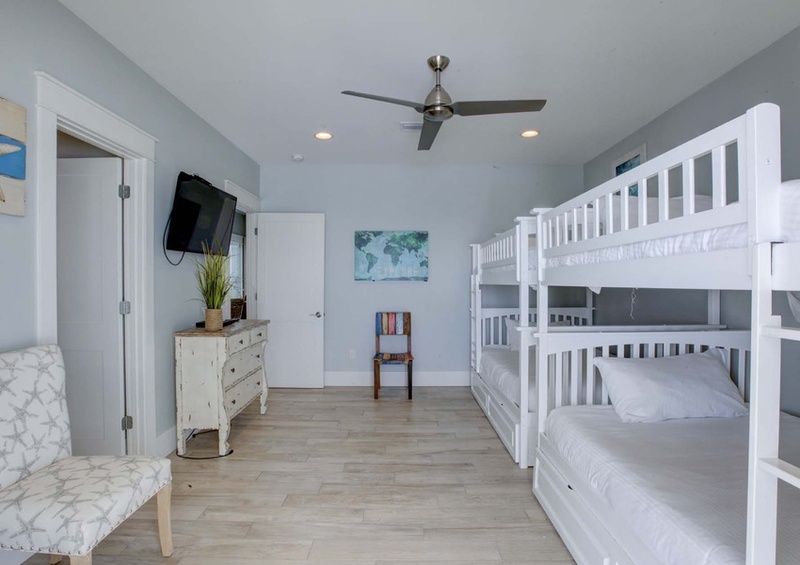 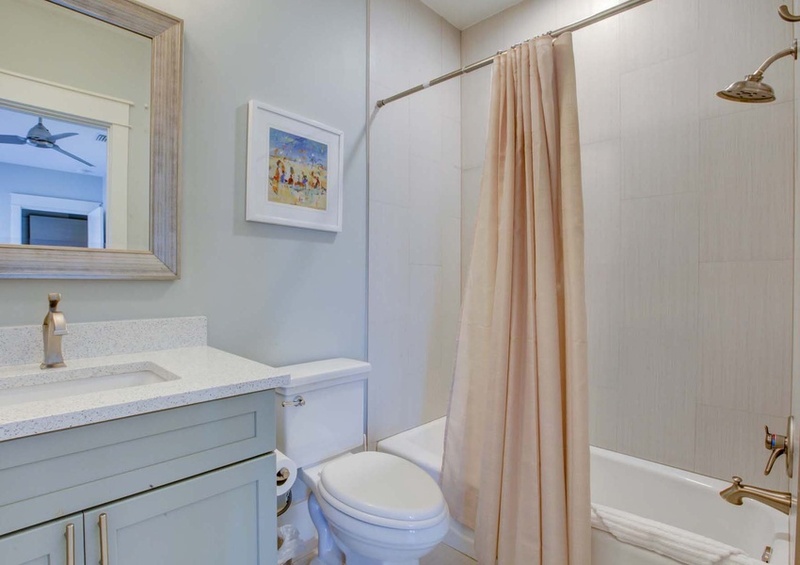 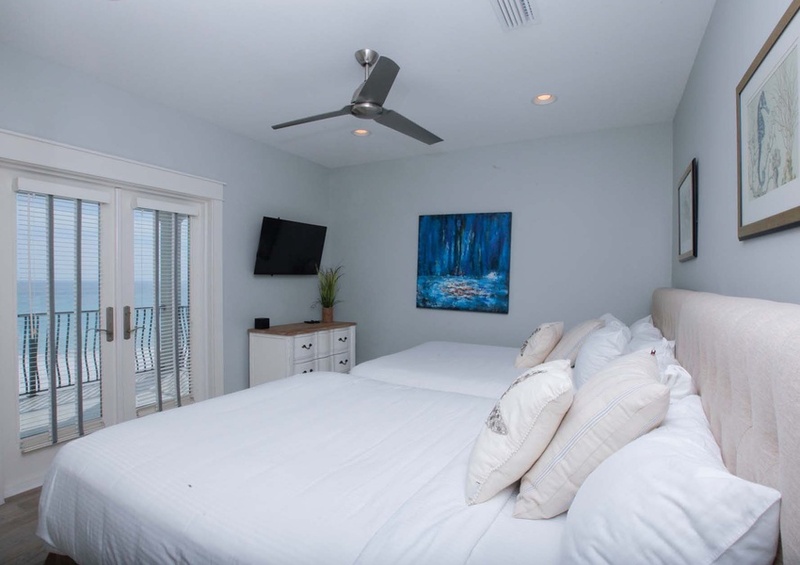 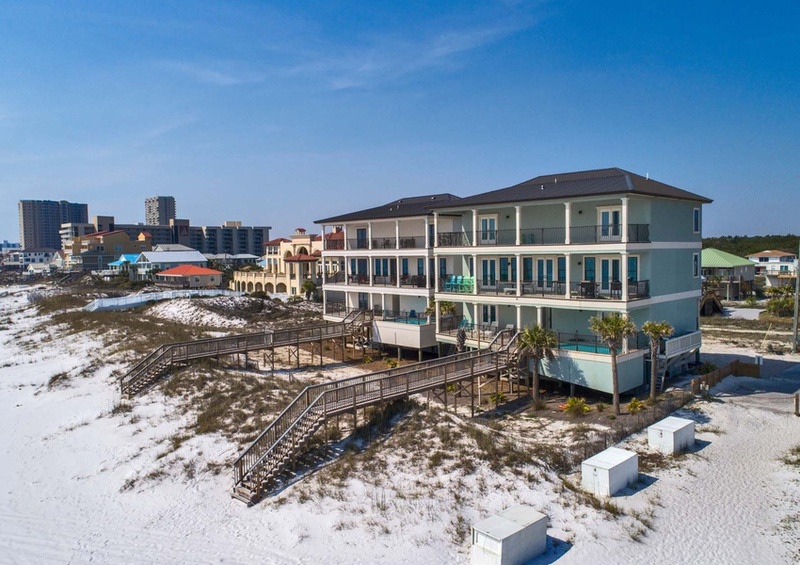 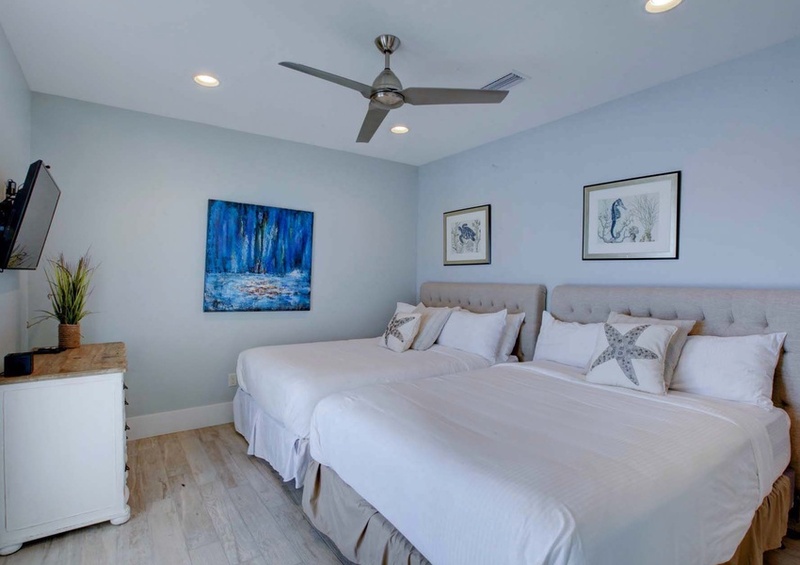 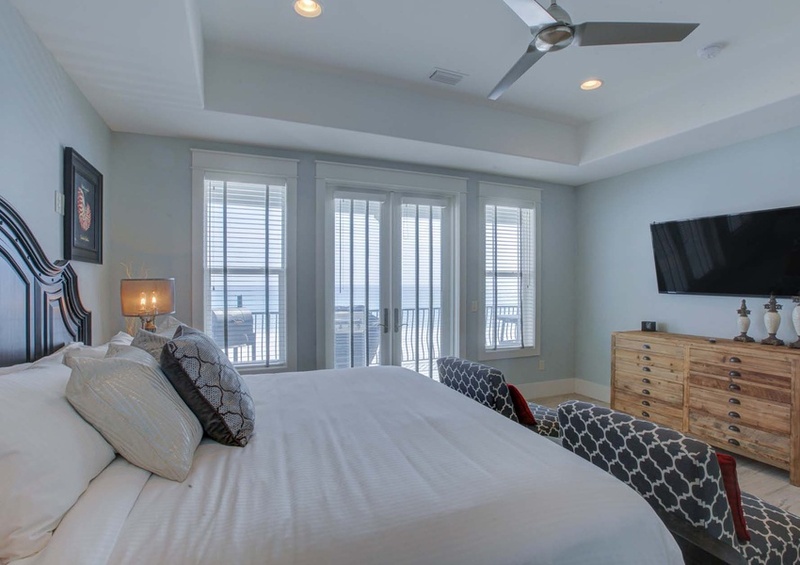 Additionally, the fourth floor features some of the most beautiful views of the sugar white sand beaches and crystal blue waters of the Gulf of Mexico available in a Destin vacation home. 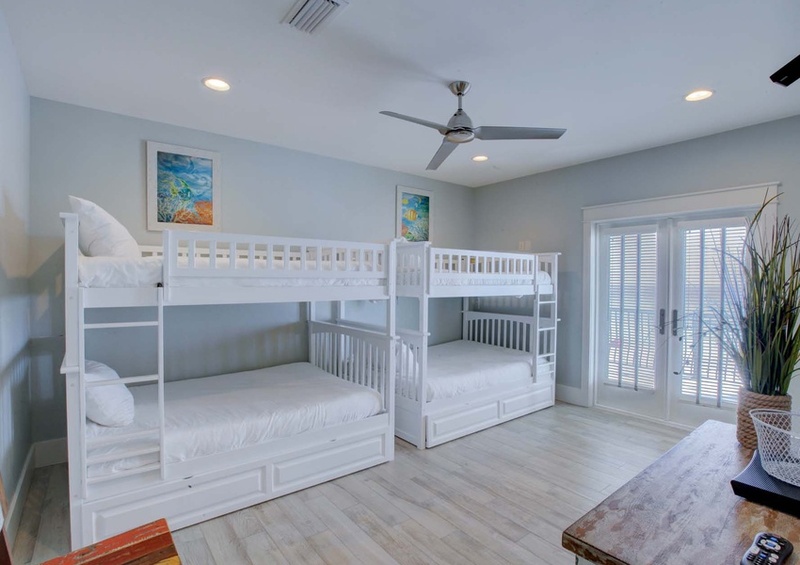 We know you’re going to have the most incredible dream vacation experience during your stay. 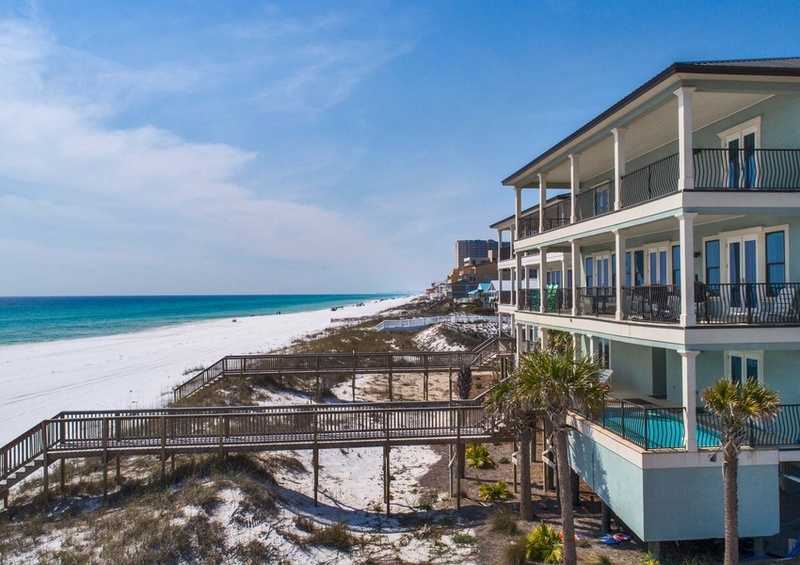 Don’t forget to make this one for the books and create incredible memories by adding a local event to your dream vacation plans. 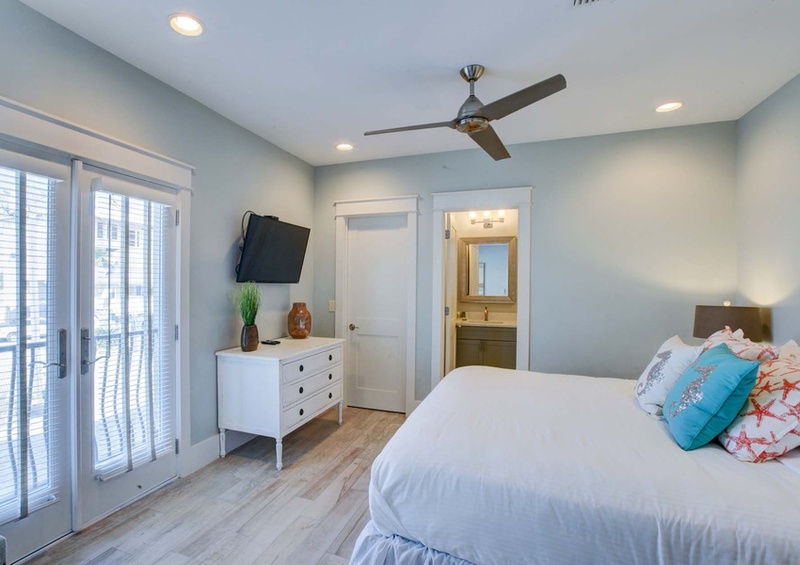 Call or book direct online today!